Flowers are beautiful any time of year. And flower crafts are perfect for any season. To bring color to the winter months. For special Mother’s Day cards. Or just because flower crafts and paintings look great displayed on the wall or window sill! 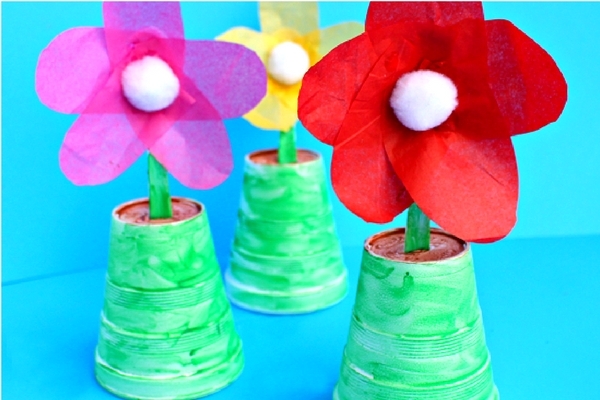 Here are some of my favorite flower crafts that are perfect for preschoolers. 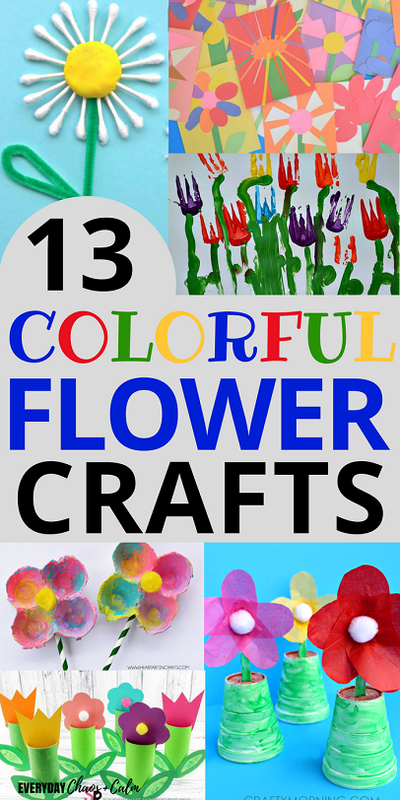 13 Colorful Flower Crafts for Preschoolers! I love the bright colors of this paper plate flower craft. I also love that it brings in some good scissor practice for the preschoolers! Get the directions for these Paper Plate Flowers. How cute is this flower craft? The stems of the flowers are made using plastic spoons! Looks like a great way to reuse some of that disposable party ware! Get the directions for these Spoon Flowers. These paper hyacinths are the perfect flower craft for preschoolers. Lots of cutting practice and fine motor skills are needed to create the flowers. I think they would look great on a 3-D card for Mother’s Day! 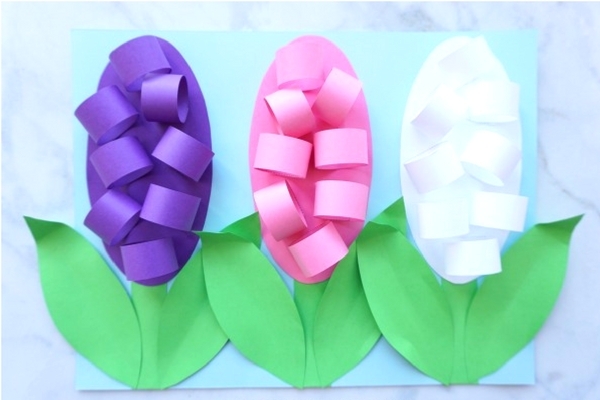 Get the full instructions on how to make these 3-D Paper Hyacinths. I love hand print crafts- they are a great reminder of just how small our kids used to be! This flower craft is so sweet- using finger prints to make flowers and a hand print the the flower stems. 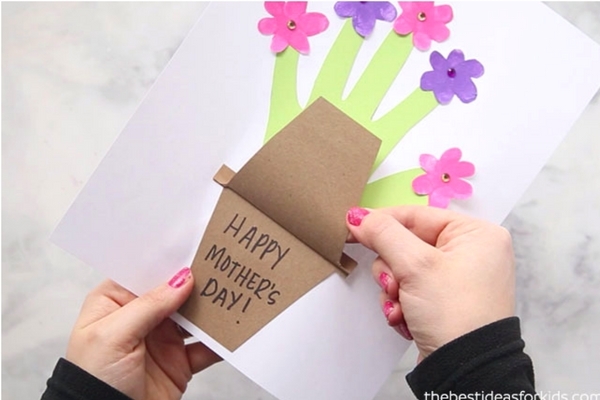 Get the directions for this Hand Print Flower Craft. 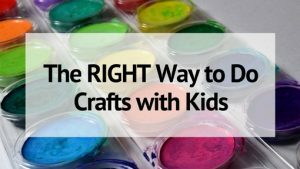 My favorite crafts for kids are open ended ones that allow the child’s own imagination and style shine through. This flower craft does just that. You give the kids the pieces and let them come up with the flowers of their dreams! 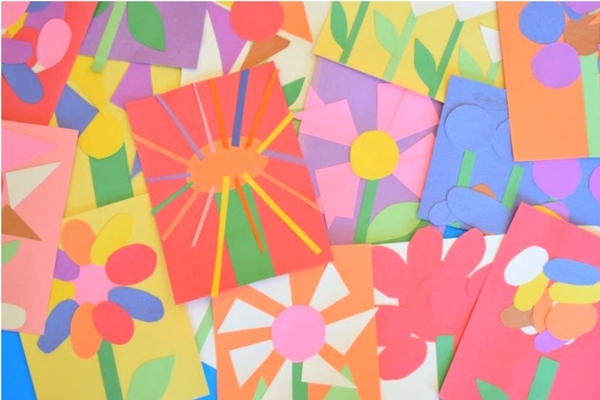 See how to create this Create-a-Flower Activity. How cute would these toilet paper flowers look on the window sill?! 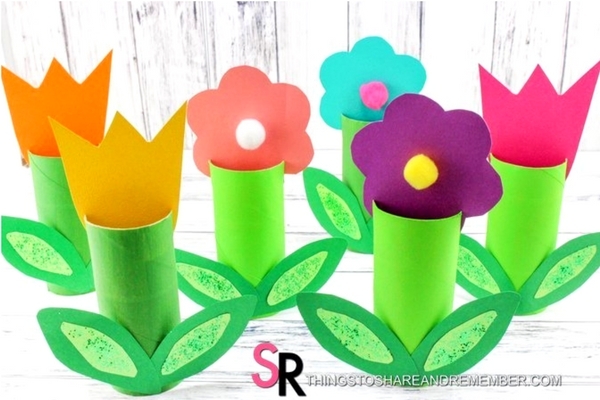 They are so bright and springy- and my kids love making things out of household items like toilet paper tubes! 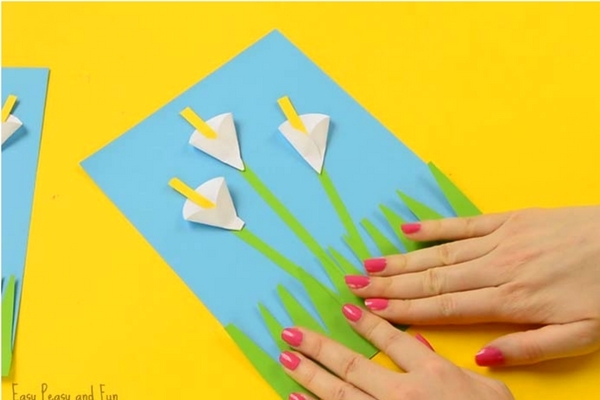 See how to make these Paper Roll Flowers. This is about the simplest flower craft you can do. 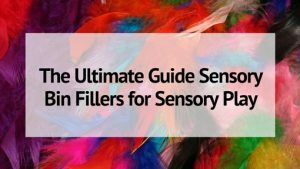 All you need is paper, crayons, and coffee filters! Wouldn’t they look great on a Mother’s Day or Birthday card? 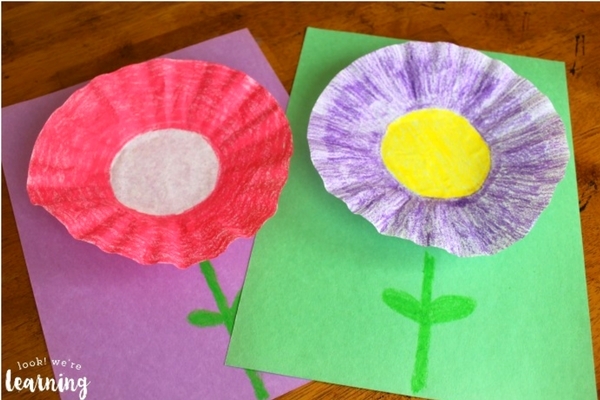 See how to create these Coffee Filter Flowers. Calla Lilies are my favorite flowers. We had them in our wedding, and I just love anything that features them. This calla lily craft is simple to make and make a beautiful, bright final product. Get the step-by-step directions to this Calla Lilly Craft. You can make more things than you’d think with egg cartons! I’ve already written about making egg carton pigs and other animals. But isn’t this egg carton flower craft lovely? I love the colors! My daughter would love to decorate with these. See how to make this egg carton flower craft. I’ve stamped with potatoes, but never celery. 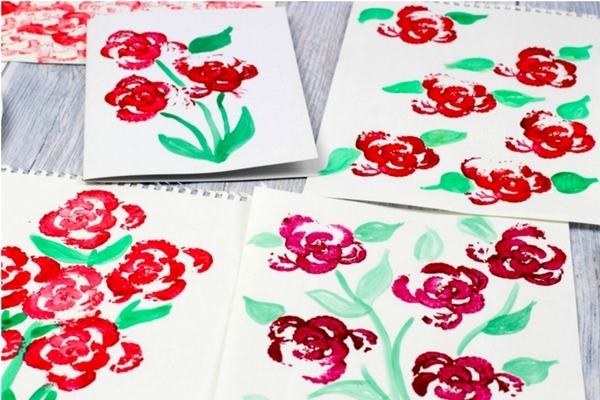 And look what lovely flowers you can create by stamping with celery! See how to create these Celery Stamped Flowers. 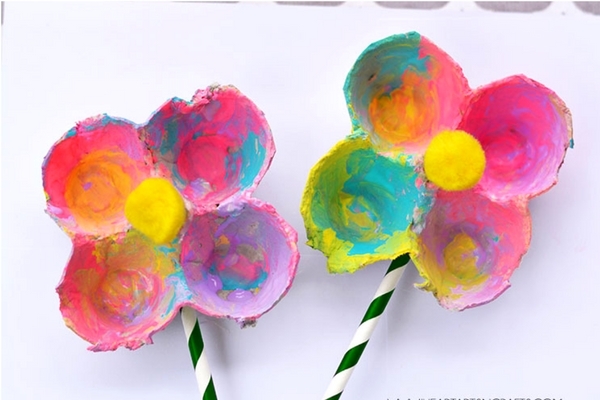 This flower craft adds a sensory element by building the daisy flowers out of playdough and q-tips. 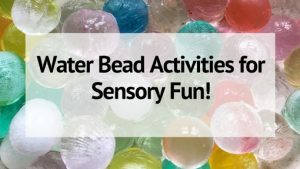 Looks like a great fine motor activity for preschoolers! 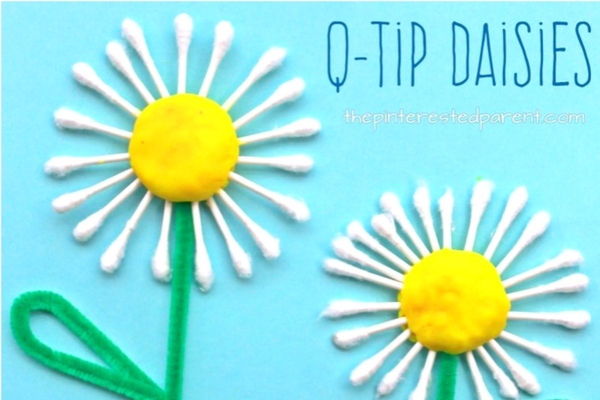 See how these Q-tip Flowers are made. 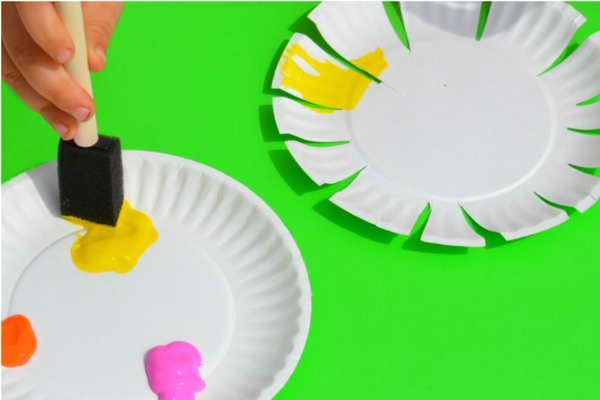 Dot painting is an easy, relatively mess free way to let your kids paint. And they are great for making patterns- like with these dot painted paper plate flowers! Good small muscle work making all those circles too! 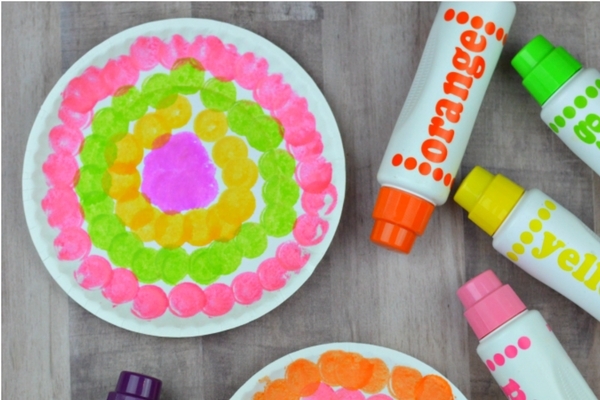 Get the full instructions for this dot painted flower craft. Now this is my kind of kids art! 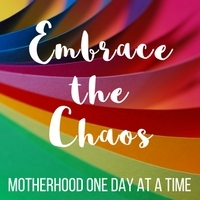 I love the messiness and the colors and how you can tell that it is totally kid-created. And I can imagine just how much fun preschoolers would have painting with forks! 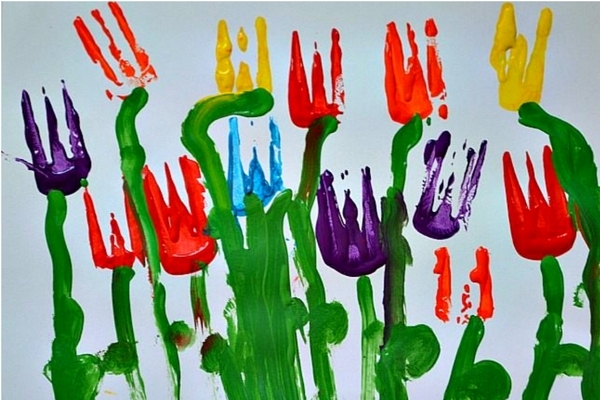 See how this Fork Tulip Painting was made.